Goa: Goa is all set to launch seaplane and amphibian rides for tourists, a top state government official said here on Sunday (Apr 24). 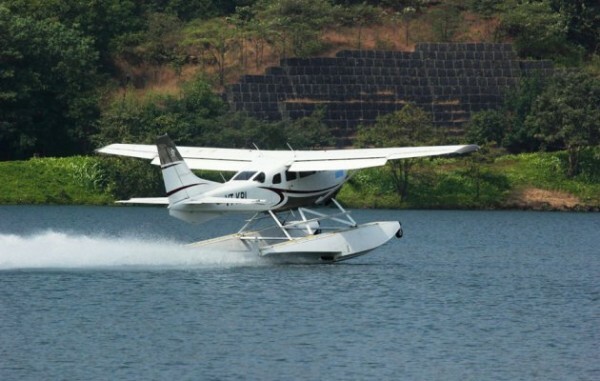 “We are soon going to start seaplane service to give an aerial view of the picturesque destinations,” Goa tourism director Sanjeev C. Gauns Dessai told IANS. He said there is much demand for air rides among tourists. “We are awaiting clearance from the central government. Once we get the permission, we will start the seaplanes,” he said. Each plane with eight people on board can land and fly from the sea. These planes will land on the Mandovi river, giving tourists the opportunity to catch glimpses of the backwaters. Goa is flanked by the Arabian Sea on the west and the Sahyadri mountains on the east and is criss-crossed by several rivers. Dessai, who was here to participate in a three-day exposition of Himachal Pradesh tourism industry that concluded on Sunday (Apr 24), said the government is also to start amphibian buses that can run on roads as well as float on water. “Such vehicles will be the first of its kind in India and, of course, unique in giving ‘Go Goa’ experience. Even this state (Himachal Pradesh) can start amphibian buses to attract more tourists,” he said. An amphibian bus, common in Singapore and London, costing about Rs.2 crore and with a capacity to carry 32 people, will run on both road and water. These vehicles have been manufactured in Goa with technological collaboration from the US. Goa, with a population of 1.5 million and spread over 3,702 sq km, attracts 45 lakh domestic and five lakh foreign tourists annually. The visitors mainly come from Russia, Britain and Germany. The state tourist department last year added hot air balloon, motorised paragliding and helicopter services to its portfolio to offer tourists aerial view of the popular destinations in the state.